After turning the Surface into a billion-dollar business, Panos Panay will oversee all premium Microsoft hardware. 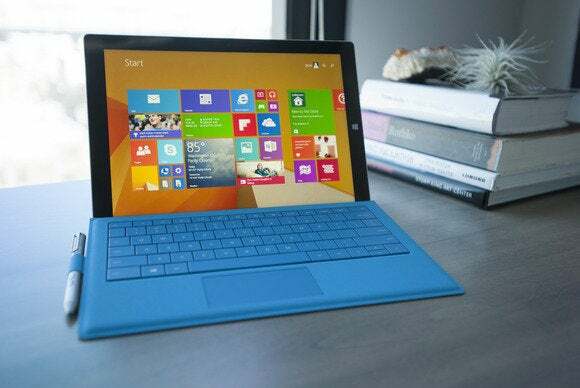 Microsoft is turning to the head of its Surface tablets as the company tries to bring smartphone sales to life. Panos Panay, whose current role is Corporate Vice President for Microsoft Surface, will be in change of engineering for all premium Microsoft hardware, ZDNet’s Mary Jo Foley reports. That includes Surface, Windows phones, Xbox consoles, Surface Hub, Microsoft Band, and HoloLens. The expanded role for Panay is part of a much larger reorganization at Microsoft that began last month. In that shake-up, Microsoft Devices head Stephen Elop—who previously served as CEO of Nokia—left the company, while Terry Myerson took the reins of a unified Windows and Devices Group. Microsoft is also slashing up to 7,800 jobs and taking a $7.6 billion impairment charge as it restructures its phone business, which was largely acquired through Nokia last year. Through it all, Microsoft has said that building flagship phones for Windows lovers is one of its main goals. The company hasn’t brought a high-end Windows phone to market since early 2014, but has promised to do so around the launch of Windows 10. It seems Panay will be leading that charge from now on. Why this matters: It wasn’t long ago that the Surface was a punchline in tech circles, with rumors of imminent demise and some pundits calling for the death of the entire product line. But through steady iteration and a clear focus on solving the problems of mobile PC users, Microsoft has turned Surface into a billion-dollar business. Creating standout smartphones won’t be easy, but either way, the new role for Panay seems like a vote of confidence in Surface and his work so far.